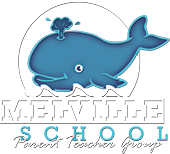 The Fall Festival is a favorite Melville family event! Kids can enjoy all kinds of fun activities like games, animal balloons, cake walk, bingo, face painting, and a creepy classroom. Raffle baskets, a children’s raffle, and a 50/50 raffle all add to the fun! Food options include lunch, a bake sale, and spooky popcorn. "We need your help! Sign up for one time slot or multiple!"